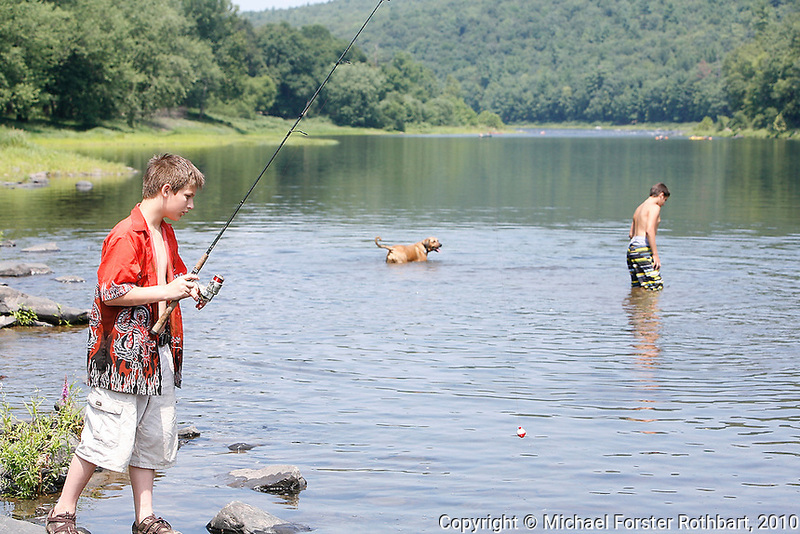 Swimmers and fishermen including Noah Rave, age 11, of Lackawaxen, PA, enjoy the scenic Upper Delaware River on a hot summer day in River Park in Lackawaxen, PA. The Upper Delaware Scenic and Recreational River, part of the National Park Service's Wild and Scenic Rivers System, stretches 73.4 miles along the New York - Pennsylvania border. Date: 8/2010 File#: Canon 5D digital camera frame 68188.